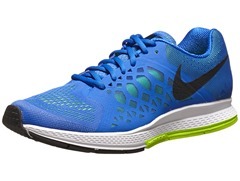 For a long time I would not have considered trying a shoe like the Nike Pegasus. I generally like shoes that are lighter and lower profile, but over the past couple of years I’ve come to realize that a higher drop shoe will work fine for me if it has a relatively soft heel. I think a soft heel alters the functional drop of a shoe for me – compression of the heel under weight makes the drop feel lower than it actually is. When Nike released the Peg 31 I had heard from fellow shoe geeks that they made the shoe a bit firmer, particularly under the forefoot. Given my experience with the Peg 29, I couldn’t resist giving them a try – a similar ride with a more stable forefoot might just do the trick. A few weeks ago I headed over to my local running store to try a pair on. They fit well and felt good underfoot, so I brought them home with me (Disclosure: these shoes were a personal purchase). I’ve now run almost 50 miles in the Nike Pegasus 31, and overall I have to say I’m incredibly impressed. By specs, the Peg 31 is very much a conventionally structured running shoe with a lot of cushion. My size 10 pair weighs in at just over 10.5 oz, and Running Warehouse lists the stack at 31mm heel, 18mm forefoot (the 4-5 mm thick insole adds a bit more to that) Note that Nike claims 10mm drop for the Peg – I had a hard time measuring due to the integrated upper liner so could not confirm, but I think it’s higher than 10mm. In any case, the Peg 31 is probably the highest drop shoe that I’ve put this many miles on since 2009-2010. What’s surprised me the most about the Pegasus is that the shoe doesn’t feel like a 12mm+ drop shoe. I can go put on an old pair of Asics Kayanos (probably from 2008) and feel the high drop, but not so much in the Peg. It think the difference is in the softness – my old Kayano feels hard and stiff, more like I’m standing on a wooden ramp. My heel sinks into the sole of the Peg and gives it a cushy, lower drop feel. Similar experiences with shoes like the adidas Adios Boost and New Balance 1400v2 have really changed how I use drop data to choose shoes to try and review. I’ve come to think of static drop as a number that describes unloaded sole dimensions, and it’s thus not always a good descriptor of how a shoe feels on the run. On the run, the Peg 31 feels cushy under the heel (there is a zoom air unit under the heel), and the forefoot stability is much improved over the Peg 29’s in the video above. I haven’t taken any video of myself in the 31’s, but I haven’t had any issues with ball of foot abrasion which suggests that the problem has been fixed. They also just feel firmer and more responsive under the forefoot. I’ve done two runs of over 10 miles in the Peg 31’s, and they worked very well for the long stuff if you like a cushy ride. It’s still a bit more shoe than I’d choose to race a marathon in, but for easy runs they feel great. The closest comparison I can come up with is the New Balance Fresh Foam 980 (review coming soon!). And between those two I’d take the Peg 31 due to a better fit up front (the Fresh Foam has a very pointy toebox). One of the things I like most about the Peg 31 is the upper. It’s a thing of beauty – Nike knows how to make a great-looking shoe, and this one is no exception. Might be one of the best looking shoes I have in my collection right now. The forefoot is composed of engineered mesh that allows some stretch (see photo at left), which helps to improve the fit. Internally, the upper is lined by a bootie-like layer that is truly seamless from the midfoot forward. It’s incredibly comfortable, and feels great without socks. The only problem I have had is some abrasion at the base of my big toenails on both sides – I think this comes from some reinforcement of the upper over the big toe (I can’t see it internally, but the material is slightly thicker in this area). Interestingly, I have only had this issue with the included insoles – swapping them out for something thinner must create just enough space to reduce any rubbing that is occurring. I’ve already covered sole feel pretty well, but a few comments are warranted about the outsole. There is a lot of rubber under this shoe, and as a result I expect durability shoe be quite good. I’d guess you will see the softish midsole start to break down before you eat through the rubber outsole. One thing I like about the outsole design is that there is a horizontal break that creates a flex groove between the midfoot and forefoot (between the yellow and black areas in the photo below), and another about midway forward on the forefoot. This gives the Peg fairly decent flexibility. The Nike Pegasus really surprised me – it’s been a long time since I’ve run a decent number of miles in a more traditionally structured running shoe, and the Peg 31 has been working really well. 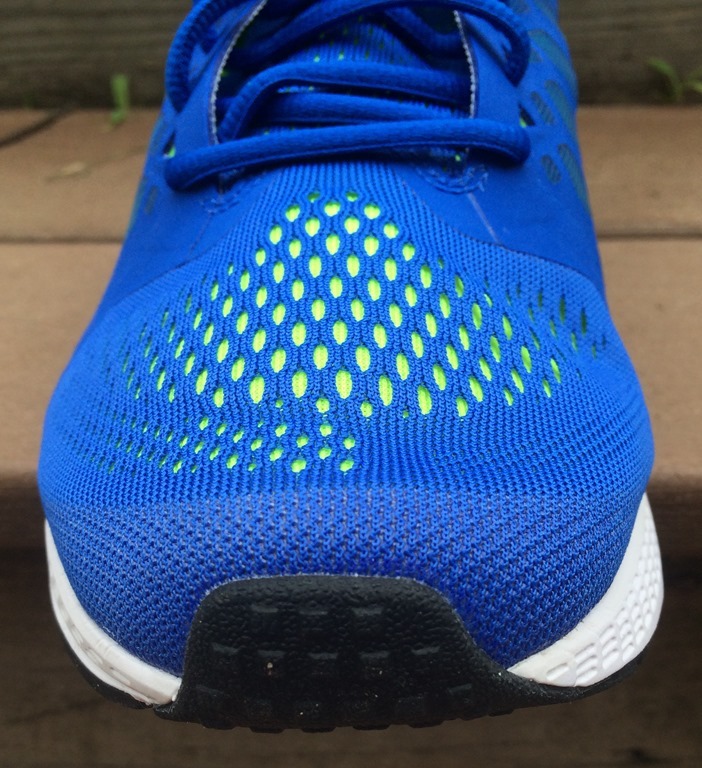 It’s a great looking shoe that offers a cushy heel and responsive forefoot, and that’s a good combo for me. It’s more shoe than I’d use in a race, but for eating up easy miles it’s a fine choice. The Nike Pegasus 31 is available for purchase at Running Warehouse and Nike.com (or your local running specialty store). Outside of the US they are available at Wiggle (UK). I’d say the sole feel is very similar to the Lunarglide 5. Soft heel, firmer and more stable forefoot than the Peg 29. I honestly can’t feel a difference in terms of stability between the LG5 and Peg 31. Awesome. Just now returning to running after tibial stress fracture. I won’t say I’ve “given up” on minimalist shoes. But I will say that, from now on, I’ll seek out more cushioned shoes, since all my running is on concrete and pavement. 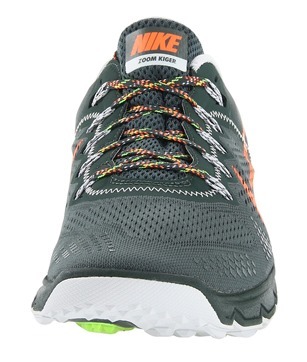 If I can get back to running normally in a few more weeks, without injury, I will probably try a pair of these. These are definitely cushy. If you have a narrower foot the Lunarglide 5 or NB Fresh Foam 980 might also be worth a look. Your tastes have dramatically changed vs. 2-3 years ago. While you were a big advocate of natural running shoes (light, flexible, low drop, wide toe box), your preference moved gradually to more traditional heavier and cushioned models. 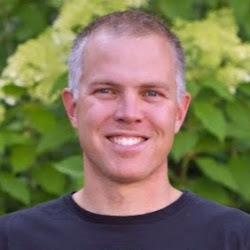 It seems like the minimalist models helped you to build a good technique… But now, as an experienced runner you appreciate more cushion while being able to maintain your good (now spontaneous) strike patern with it. Blaise Dubois must be devastated ;). It would be interesting you to make a test like 10 miles in your Pegasus compared to another 10 miles in one of your preferred light model of 2012- 2013 and give your impression. Finally, compare it with your original comments. I suspect your criteria evolved considerably so that your preference go now to totally different shoes. If pressed to choose my top 3 so far this year I’d probably go with the Kinvara 5, Nike Free 4.0 Flyknit, and Asics Hyperspeed. I might also add the Altra The One2 and the Salomon Sense Pro. All of these are in a similar category to my favorites from previous years. Basically middle of the road lightweight trainers with moderate cushion. My willingness to try a shoe like the Peg has changed as I point out in the review, but I would not choose it as a top shoe choice for me personally. I still also run in very minimal shoes from time to time, for example the Merrell Vapor Glove, but since most of what I review are new releases and there aren’t a lot of new minimal shoe coming out that appeal to me those have slowed down. The challenge I face as a reviewer is that my core belief is that people are variable, and have variable needs. When I wrote my book in 2010-2011 I emphasized this as well as the need to be non-dogmatic about footwear. Since I have a varied audience I like to cover shoes that span the spectrum, but that I actually enjoy running in as well. They won’t all necessarily be personal favorites, but there is a place for me to review a shoe like the Peg, and I would consider trying other more traditional shoes even though they might not be a perfect match for me. It is great to have those conversations while we live so far away from each other. It is a privilege to share your experience through those years. Really. I can not resist pointing out your list. An in 2014 you even pick Salomon Sense. Which is probably a wise choice for long distance trailers even front strickers minimalists. In the meantime I also read your additional comment answering Simon point. It is logical indeed you test other things to experience and avoid being perceived as dogmatic. Again, I appreciate your detailed and balanced reviews. It inspired me a lot for most of my shoe choices. A also bought your book and appreciated a lot. NB 1400 is under 7oz, lighter than the Kinvara which has been my go-to shoe for several years. adios Boost is only about a half ounce heavier than the Kinvara. Newton Energy has about an ounce on the Kinvara, but is only 2-3mm drop. All pretty much variations about my preferred specs. The NB and adios are a bit higher drop, but soft heel so barely notice it, and the higher drop is something I have indeed evolved to being more tolerant of, though certain high drop shoes are still no go for me. Yves makes some interesting points Pete!!.. well I remember our exchanges from 5 years ago! But time and experiences bring evolution, and nothing is static. My only comment would be in relation to your video.. for a not very big guy, you sure do seem to have a heavy footfall.. assuming that is you in the vid.. enough to make the treadmill shake.. and quite a pronounced double float for what appears to be a relatively slow belt speed.. thoughts? I actually disagree with Yves as I outlined in my comment to him. Lightweight trainers in the 4-8mm drop range have been my bread and butter since pretty much 2009. Still the case if pressed to choose my top shoes so far this year (one of which would probably be the Hyperspeed, which I’m sure you know well!). What’s changed is mainly my willingness to try a wider variety of stuff. I’d also stand by anything I wrote in our debates 🙂 The science still does not identify a clear winner for injuries (my main interest), and I don’t really think it ever will. Maybe I’m wrong, who knows. For example, Ryan’s paper showed no significant differences in injury rates between the Peg and Fivefingers, so six in one half dozen the other. Even there the Fivefingers was a bigger change from what they were used to and the non-significant result surprised me. So those that claimed minimal will cure all were wrong, and those claiming that they were a sure path to injury seem to be wrong as well. The middle road seems to be the correct one, as it often is. In the clinic I’m just as likely to rec a Hoka as I am a minimal shoe. Depends on the person. 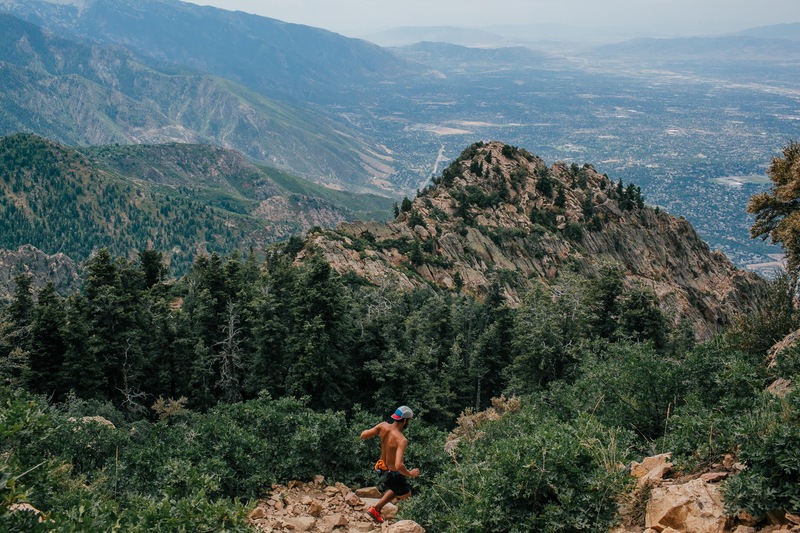 I’d not put a hard driving runner in a very minimal shoe since I think that is a recipe for injury – they’re just not patient enough to take a gradual approach. But I still very much think that minimal shoes have a place in the spectrum of options. I think you and I share the belief that people are variable and have variable needs, and that varying training, surfaces, etc. is probably as important if not more important than what they put on their feet (which probably should be varied as well). I’d still pretty much have the same position I outlined in my book, which was written late 2010 through 2011 – no point in dogmatic approaches, variation is good, find what works for you. Forgot to mention on the gait stuff. Point 1 – I’m actually not that small a guy. In that video probably not far off 180 pounds. Work transition and associated stress last year was not kind to my fitness 🙂 Point 2 – cheap, unsturdy treadmill. I film everything outdoors, and we use the TM only for gait cueing (and lunchtime exercise…) when necessary so didn’t invest in a more stable mill. Thanks for the write up. I like the Peg 29 (I have one more pair left) – Peg 30 too narrow up front for me – sounds like the 31 will be too narrow too. Too bad, sounds like a good shoe. I guess I better buy some more Go Run Ultras. If you ever do a review of cushioned neutral shoes with a roomy toe box, count me in as an avid reader. Your flexibility (no pun intended) in reviewing more standard type shoes is appreciated. My shoe ideology is fit/comfort (not minimal, maximal or whatever type comes out next. The Pegasus also comes in wide (2E) and extra wide (4E). 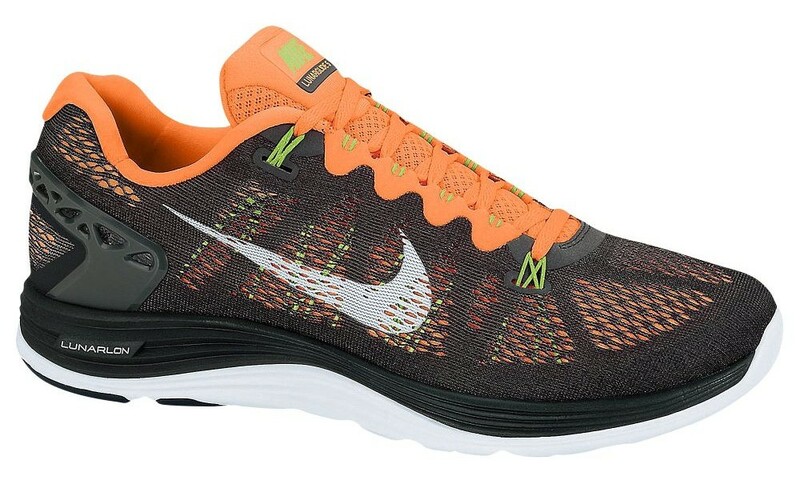 It’s one of the few models that Nike always offers widths for because it is core model for them. Looking at Nikestore, it also come in narrow too, so 4 different widths are available. That’s probably the most widths available for an off-the-shelf running shoe. I get the 4E (aka XE) Pegasus. The 30’s fit the same as the 29’s, while I have to go up a half-size in the 31’s. FWIW, I prefer the softer midsole of the 29 and 30 to the 31, though I am pleased by the slightly lower drop in the 31. Did you happen to try the 30 ever? Any sense of the difference between the 31 and 30 (my current shoe of choice)? No, never tried the 30. Have heard it is extremely soft like the 29, so the 31 will likely feel firmer, particularly under the forefoot. What Pete said. The 31 is firmer. What I really liked about the 29’s and 30’s was the soft, yet not mushy midsole, so the 31 is a disappointment. 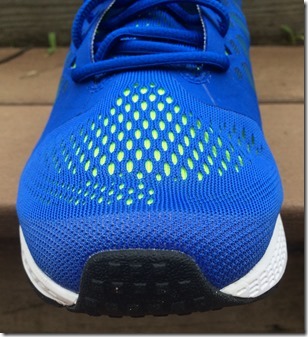 With your comments about static drop and heel cushion/softness, would you then reasonably assume that zero-drop shoes could realistically be negative drop? Or am I over-thinking that? Great question, and my answer would be a big yes. Particularly for a soft shoe on a heel striker, you sink the heel cushion in and then roll forward, so the functional drop is probably less than in a shoe with a firmer sole. This is probably why I tolerate higher drop shoes with soft heels, but don’t like higher drop shoes with firm heels. So a soft zero drop shoe might actually function like a negative drop shoe for a hard heel striker. Thanks for a great review as always, Pete! If it’s sole is like the lunar glide 5 then it’s going to be a good fit for me. There are so many running shoes today on shops and I just can’t choose when I’m in there. I’m kind of overwhelmed with the choices on stores. So now, I just research on the web before going to the stores. I’ll just write 3-5 options then I’ll go from there. 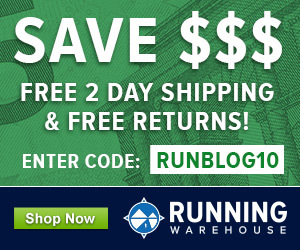 i just wanted you to know that runningwarehouse has corrected data about pegasus 31’s stack and drop. I tried these on recently and loved the way they felt. I am a heel-striker. Do you think these shoes will offer the support I need? I will be using these for long runs. I recently tried these on and loved the way they felt. I am a heel-striker. Do you think these will work for me? I will be using these for long runs. Hard to know how any shoe will work for a given individual, but if they felt good that’s a good sign. Plenty of cushion for a heel striker. I love these sneakers. They are great for distance runners especially on their long runs. I recommend them. Consider reviewing the Nike Zoom Elite 7? It seems like the Pegasus just firmer in the forfoot and less of a drop. Seems like it would work for you! Even if it doesn’t its still an amazing looking shoe to wear. May have a guest review of that one coming. Do you think the Pegasus31 would be a good “tempo, daily & long run” shoe? Im currently on Brooks Launch for daily training and NB1400 for tempo/fast runs. I’d say it’s more similar to the Launch, much more cushion than the 1400. For daily and long runs it would be great, but for me I’d use the 1400 for faster stuff. Sure, could work for any distance, but not sure I’d choose it as a XC race shoe. need your help. i’m planning to give my sister a shoe for her first half mary. im planning to buy this. is there a difference between a men and womens pegasus 31?